As usually before a storm, Haiti and Dominican Republic (DR) authorities issued warnings to residents in lowland areas to vacate their homes and seek higher ground before Hurricane hits. But residents in the DR and Haiti are unaffected by the warnings. 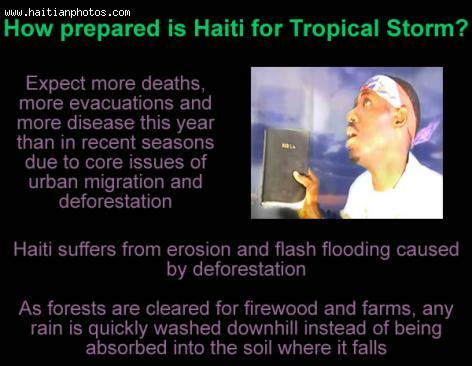 For example, a Haitian street seller would not stop selling snow cones despite the existence of Hurricane. A DR nationalist, Geovanny Batista, echoed the sentiments of many, claiming, "We're sure nothing is going to happen."